The month of July brought messaging and texting apps, calendars and task managers, file managers, a business card app, and a painting tool. 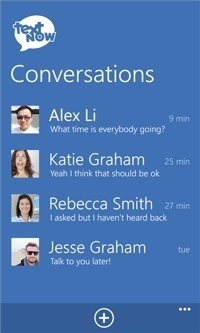 Here is a list of July’s new mobile productivity apps for Android, Apple iOS, and Windows Phone. There are both paid and free apps. Voxer. 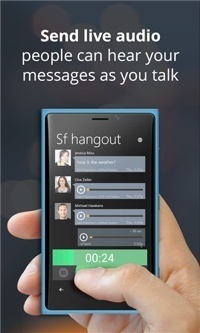 Voxer allows you to easily and instantly communicate with one person or a group. Every push-to-talk message is live and recorded. And you can send text, photos, and share your location. Price: Free. TextNow. TextNow gives you free and unlimited texting within U.S. and Canada. 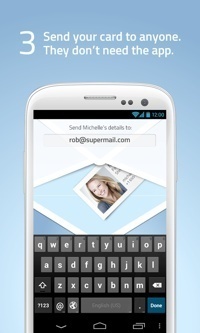 You can also send and receive picture messages. Integrates directly with your Windows contacts. Price: Free. Fresh Paint. 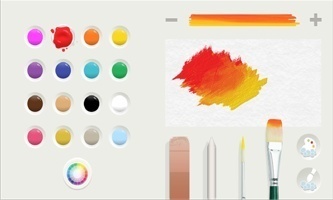 Fresh Paint is a painting app for your big ideas. Create original works or transform photos into paintings with artistic camera lenses. 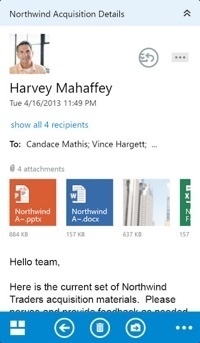 Easy sharing with a tap, text message, email or SkyDrive. Price: Free. Notes. This is a simple, clean and fast note taker. 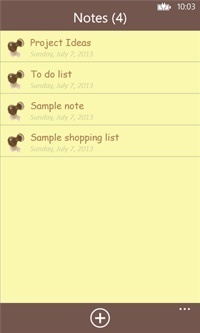 Use Notes to write down quick thoughts, memos, and to-do lists. Price: Free. Unify Universal Search. Find what you’re looking for on your phone. Search all the local data that your third party apps can access. Or launch a search into the app store, maps application, Google Search, and Bing Search. Price: Free. Cal. Cal is a simple, beautiful, and free calendar app for your iPhone. Each day is celebrated with a fresh photo. Events come to life with maps, photos of your contacts, notes and reminders. Cal helps you balance life, work, and personal time without letting anything slip through the cracks. Price: Free. IFTTT. IFTTT lets you create powerful connections with one simple statement — if this then that. Create connections that unlock entirely new ways for your services and devices to communicate with each other. Price: Free. Easy Calendar. Easy Calendar is an easy way to plan your day. 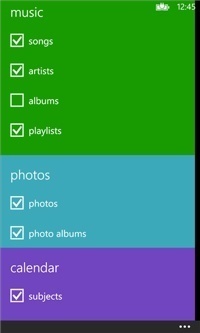 Designed around frequent tasks, Easy Calendar allows anyone to create new events with just a few taps. Quickly jump between views. 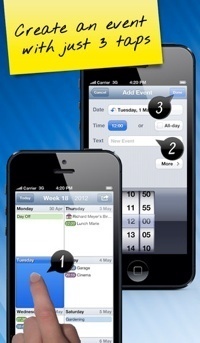 Integrates with native iPhone calendar events. Price: $1.99. OWA. Outlook Web Access (OWA) app is for use with Office 365. Organize and search your email quickly. Manage your schedule with ease, schedule meetings, view shared calendars, and keep your data secure. Price: Free. BitTorrent Sync. BitTorrent Sync lets you sync an unlimited number of files and folders of any size across all of your devices. It gives you access to all of your synced folders on the go, and provides a mobile-to-mobile sharing feature for sending photos and videos. Price: Free. Pearltrees. 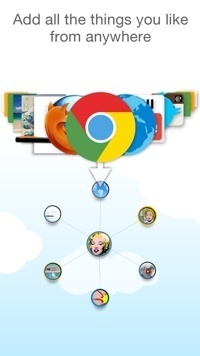 Pearltrees is a free app to collect, organize, and share all your interests in one place. Its unique visual interface lets you add and retrieve all your finds from anywhere. Price: Free. Easy Controller-Control Center. This is a control center app. 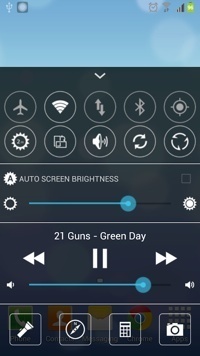 You can open it anywhere on screen to change phone settings, control music, and control an app. Features airplane mode switch, GPS switch, clean memory and more. Price: Free. NoBizCard. Quickly create a business card, using your Facebook or LinkedIn account. Edit your card and add an image. Send your card to anyone; they don’t need the app. Price: Free. GO FileMaster. FileMaster is a file transfer and management tool. 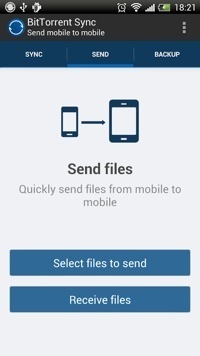 Use it to transfer files between mobile devices, including Android and Apple devices. It’s also a file explorer, with a user-friendly interface and simple operations. Price: Free. Zendone. 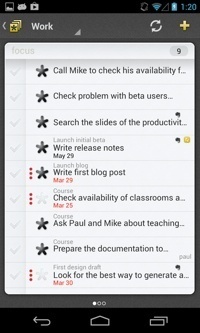 Zendone is a task manager for implementing a Getting Things Done system. 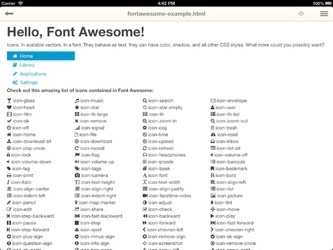 It is designed with GTD workflow and vocabulary in mind. 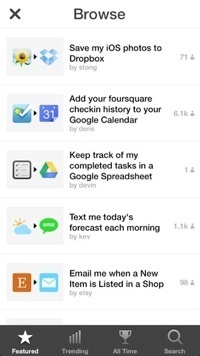 Zendone integrates with Evernote and Google Calendar. Price: Free.